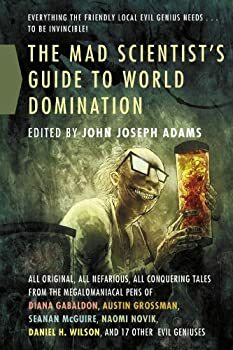 The Well-Built City — (1997-2001) Publisher: Offering a freshly-imagined world of bizarre creatures and strange customs, this unique and sardonic allegory explores the power and price of science and the ambiguity of morality. 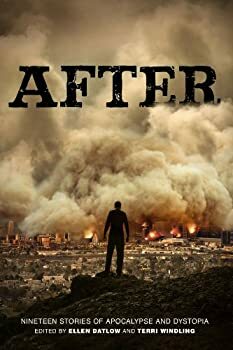 Humorless and drug addicted, physiognomist Cley is ordered by the Master of the Well-Built City to investigate a theft in a remote mining town. Well-versed in serving justice, arrogant Cley sets out to determine the identity of the thief using the pseudo-science of judging people by their features, but becomes distracted from his task by a beautiful girl from town. When the young-but-wise woman rejects him, he looses faith in his abilities, and in a drug-induced frenzy he “remakes” her features. The subsequent horror of what he has done, what he represents, and the shallow life he leads forces him to seek atonement and true justice, risking the Master’s wrath, which may entail death by head explosion. 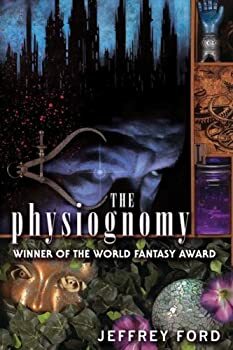 Physiognomist Cley has been sent by Master Drachton Below, the evil genius who constructed the Well-Built City, to the faraway mining district of Anamasobia to investigate the theft of a fruit that’s rumored to have grown in the Earthly Paradise and to have supernatural powers. Upon arriving, the skeptical and arrogant physiognomist finds a whole town of morons whose physical features clearly indicate that they are all backward and generally pathetic. Except for Arla, whose beautiful features suggest that she is intelligent and competent, and who seems to understand the science of physiognomy (even though that’s impossible because she’s a woman). But Cley likes looking at Arla (women do have their place), so he invites her to be his assistant as each of the dimwits in the town comes one-by-one to disrobe, pose, and present their bodies for physiognomical inspection, measurement, and analysis. In waking from a dream, we obliterate worlds, and in calling up a memory, we return the dead to life again and again only to bring them face to face with annihilation as our attention shifts to something else. After the destruction of the Well-Built City (detailed in The Physiognomy), Physiognomist Cley has been living in a village in the wilderness, acting as herbalist and midwife. One day a mechanical bird, obviously built by evil Master Drachton Below, arrives in the village, explodes, and releases a gas that puts many of the villagers to sleep. 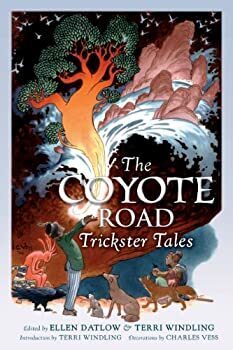 Cley is the only person who’s equipped to find the antidote, so the villagers supply him with an old dog and an older horse and off he goes (looking a bit like Don Quixote) to the ruins of the Well-Built City. The Beyond is the last book in Jeffrey Ford’s WELL-BUILT CITY trilogy. 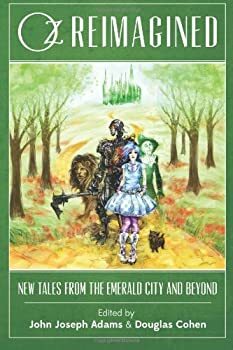 This bizarre story began with The Physiognomy in which Cley, an arrogant and cruel physiognomist, is sent by the evil ruler Drachton Below on a mission to the mining town of Anamasobia. While there, Cley makes a bad decision which destroys the beautiful face of Arla, the woman he has fallen in love with. This humbles and devastates Cley (drastically changing his personality for the better) and leads to the destruction of Drachton Below’s Well-Built City. 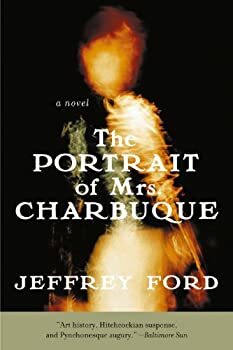 Emerging in the late morning of an overcast day (one novel in 1988 and a handful of short stories over the decade that followed), there was not much indication Jeffrey Ford would become as prolific as he has. In 1997 he produced THE WELL-BUILT CITY trilogy which did well critically, but was not a commercial success. 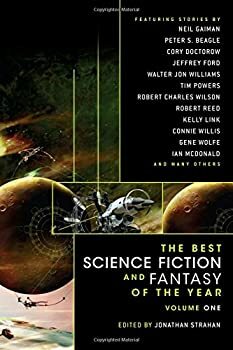 A deluge of short fiction followed, however, and since 2000 he has produced more than ninety stories amidst a couple of novels. 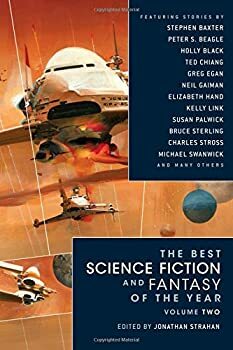 Quantity and quality often quarrelsome bedfellows, Ford proves harmony is possible, a fact wonderfully exemplified by his second collection The Empire of Ice Cream: Stories (2006). What else do you want on a warm, sunny afternoon? 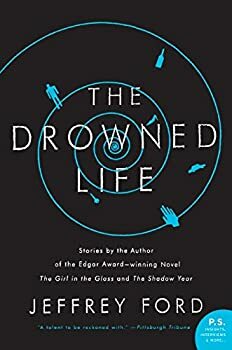 Jeffrey Ford's The Drowned Life is as engrossing as his previous short story collections, immediately ensnaring the reader with his detailed prose and characterization. 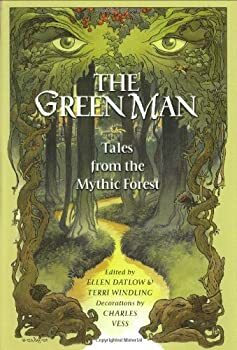 One noticeable trend is that while Ford dabbles in clear-cut fantasy with stories such as "The Manticore Spell" or "The Dismantled Invention of Fate," much of his work deals more with the mundane sprinkled with just the right amounts of magic and the surreal. The titular piece for example, "The Drowned Life," seems like the narrative of the common Joe, albeit one that utilizes Ford's excellent use of language and metaphor. 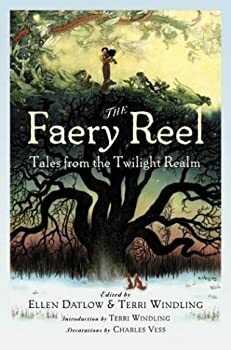 However, it slowly steers itself into the territory of weirdness with its concept of an underwater afterlife but all this time, the reader isn't jolted from the experience. 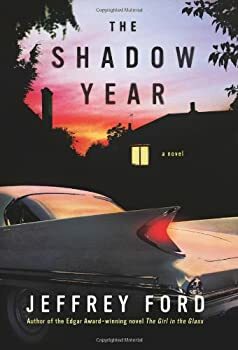 The Shadow Year is a charming coming-of-age tale about the 6th grade year of an average American boy (we never learn his name) growing up in the 1960s. This year isn’t average, though, because there are some strange things going on in his small town. 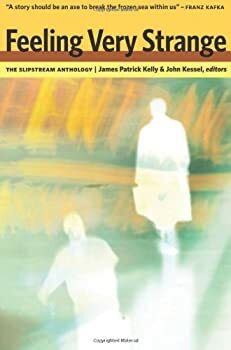 As he navigates his way around mundane matters such as an alcoholic manic depressive mother, a father who holds down three jobs, live-in grandparents, and unpleasant teachers, he’s also concerned with a prowler, a classmate who disappeared, and a strange suspicious man who drives an eerie white car. Things get really creepy when he realizes that the weird things happening around town seem to be linked to the way his possibly-autistic / possibly-savant little sister moves the cars and people around in his older brother’s replica of their town which he works on in their basement. 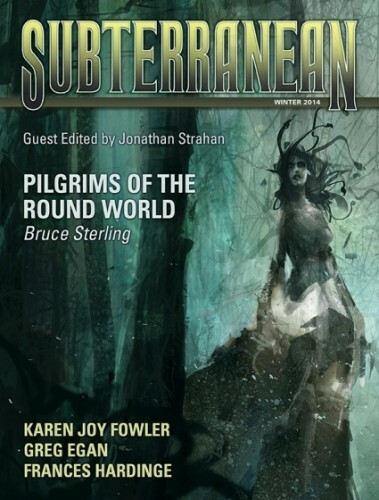 The Winter 2014 issue of Subterranean Magazine was edited by guest editor Jonathan Strahan, the editor of a popular year’s best anthology and a number of other anthologies. 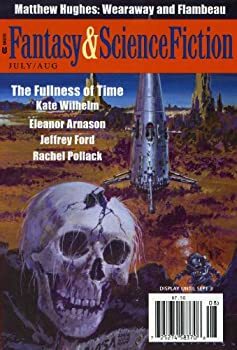 He has good taste, as the stories chosen for this issue demonstrate — with the exception of the longest and last piece, a snarky bit of irreligious, virtually plotless prose by Bruce Sterling (about which more below). The Girl in the Glass — (2005) Publisher: The Great Depression has bound a nation in despair — and only a privileged few have risen above it: the exorbitantly wealthy… and the hucksters who feed upon them. 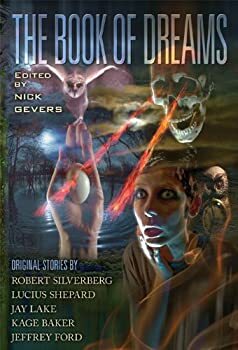 Diego, a seventeen-year-old illegal Mexican immigrant rescued from the depths of poverty, owes his salvation to Thomas Schell, spiritual medium and master grifter. At the knee of his loving — and beloved — surrogate father, Diego has learned the most honored tricks of the trade. Along with Schell’s gruff and powerful partner, Antony Cleopatra, the three have sailed comfortably, so far, through hard times, scamming New York’s grieving rich with elaborate, ingeniously staged séances. And with no lack of well-heeled true believers at their disposal, it appears the gravy train will chug along indefinitely — until an impossible occurrence in a grand mansion on Long Island’s elegant Gold Coast changes everything. While “communing with spirits” in the opulent home of George Parks, Schell sees an image of a young girl in a pane of glass — the missing daughter of one of Parks’s millionaire neighbors — silently entreating the con man to help. Though well aware that his otherworldly “powers” are a sham, Schell inexplicably offers his services, and those of his partners, to help find the lost child. 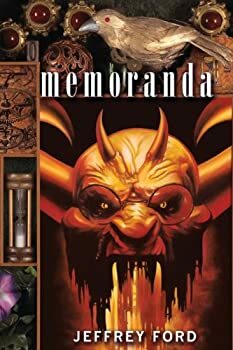 He draws Diego and Antony into a tangled maze of deadly secrets, terrible experimentation, and dark hungers among the very wealthy and obscenely powerful. As each cardinal rule dividing the grift from the real is unceremoniously broken, Diego’s education is advanced into areas he never considered before. And the mentor’s sudden vulnerable humanity forces the student into the role of master to confront an abomination that will ultimately spawn the nightmare of the century. 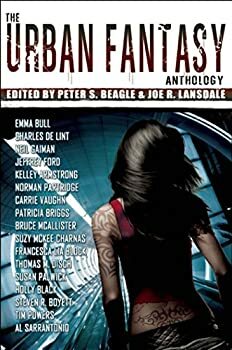 The Fantasy Writer’s Assistant: And Other Stories — (2009) Publisher: At times literary, at other times surreal, this collection offers a diverse range of stories that deal with real-life conflicts, human values, and coming-of-age experiences, all placed within fantastical settings. 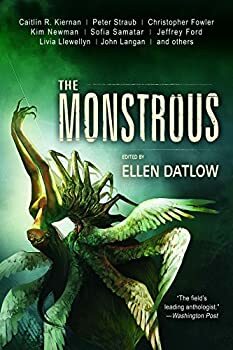 An author’s search for an elusive Kafka story leads to a potentially cursed book in “Bright Morning,” while in the award-winning “Exo-Skeleton Town,” humans dress in protective exoskins conveying the personas of bygone Hollywood movie stars in order to barter old Earth movies for an alien aphrodisiac. 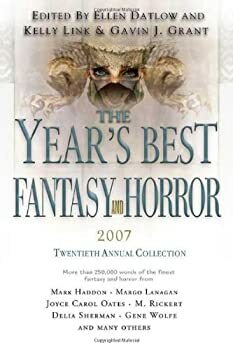 A young boy comes to term with “Creation” when he molds a man out of the detritus of a nearby forest, and in the title story, a great fantasy writer loses touch with the world he has created and pleads with his young assistant to help him visualize the story’s end and enable him to complete his greatest novel ever. An eclectic offering, these witty and modern fables blend mundane surroundings with eerie situations. 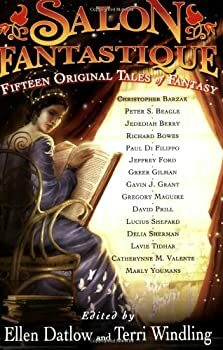 Crackpot Palace: Stories — (2012) Publisher: From the unparalleled imagination of award-winning author Jeffrey Ford come twenty short stories (one, “The Wish Head,” written expressly for this collection) that boldly redefine the world. 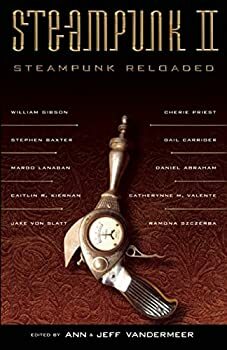 Crackpot Palace is a sumptuous feast of the unexpected — an unforgettable journey that will carry readers to amazing places, though at times the locales may seem strangely familiar, almost like home. 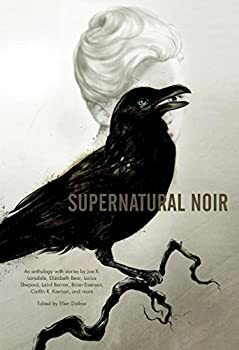 Whether he’s tracking ghostly events on the border of New Jersey’s mysterious Pine Barrens or following a well-equipped automaton general into battle, giving a welcome infusion of new blood to the hoary vampire trope or exposing the truth about what really went down on Dr. Moreau’s Island of Lost Souls, Jeffrey Ford has opened a door into a dark and fantastic realm where dream and memory become one.